This past Tuesday, the Equal Employment Opportunity Commission gathered its Select Task Force on the Study of Harassment in the Workplace in Los Angeles to discuss some of the most country’s most promising models for addressing — and preventing — harassment in the workplace, from the office to the kitchens to the fields. 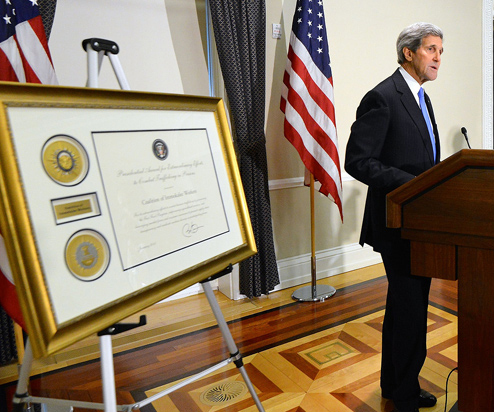 WASHINGTON — Jenny R. Yang, Chair of the U.S. Equal Employment Opportunity Commission (EEOC), today announced the membership of the EEOC Select Task Force on the Study of Harassment in the Workplace. At a public meeting on the topic of Workplace Harassment held January, 2015, Yang announced the formation of the Select Task Force, which will examine the problem of workplace harassment in all of its forms and look for ways by which it might be prevented and addressed. The Select Task Force will be co-chaired by EEOC Commissioners Chai R. Feldblum and Victoria A. Lipnic. The second public meeting with the Task Force, titled “Promising Practices to Prevent Workplace Harassment,” took place earlier this week. Among the speakers asked to address the EEOC were both the FFP’s Judge Laura Safer Espinoza, Executive Director of the Fair Food Standards Council, and Jon Esformes, President of Pacific Tomato Growers, who were invited to speak to the unique success of the Fair Food Program in eliminating sexual harassment in the agricultural workplace. When the founders of the Fair Food Program – the Coalition of Immokalee Workers (CIW) – started organizing in the 1990’s, conditions for agricultural workers had not changed significantly since the famous documentary Harvest of Shame was filmed there in the 1960’s. 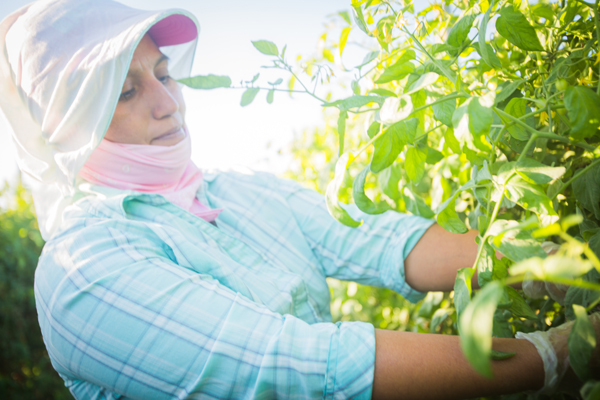 Violence, including sexual assault, massive wage theft, stagnant wages, health and safety violations, sexual harassment and discrimination were all part of daily experience for farmworkers. Beyond this, at the far end of a spectrum of degraded conditions, were cases of forced labor, often involving sexual harassment and violence. Coalition members pioneered a worker-centered approach to slavery investigations and prosecutions, helping to free over 1200 workers in multiple states. 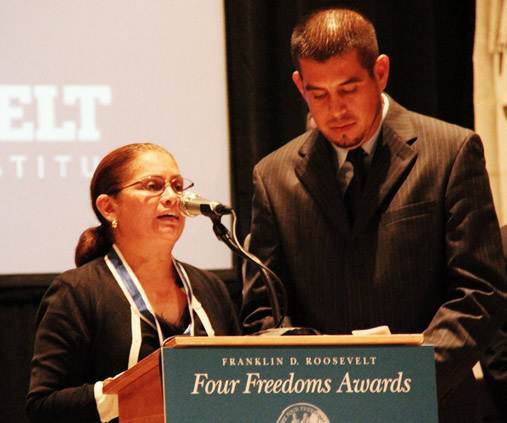 Their efforts, for which they were recently awarded a Presidential Medal, were key in kindling the anti-trafficking movement in the U.S.
CIW’s goal was not to keep going to court, however, but rather to eliminate the conditions that allowed these abuses to flourish. Organizing through traditional methods of work stoppages and strikes brought very little success. The growers themselves were experiencing tremendous downward pressure on prices from large corporate buyers, and farmworkers were excluded from collective bargaining rights by national legislation. A new strategy was needed. 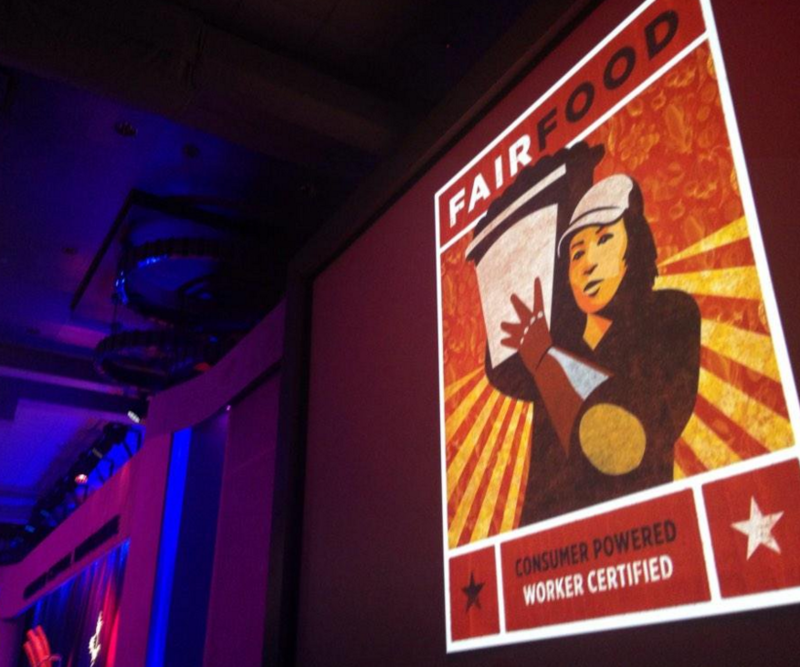 The Campaign for Fair Food was born when workers realized that they would have to go to the top of the supply chain for solutions. 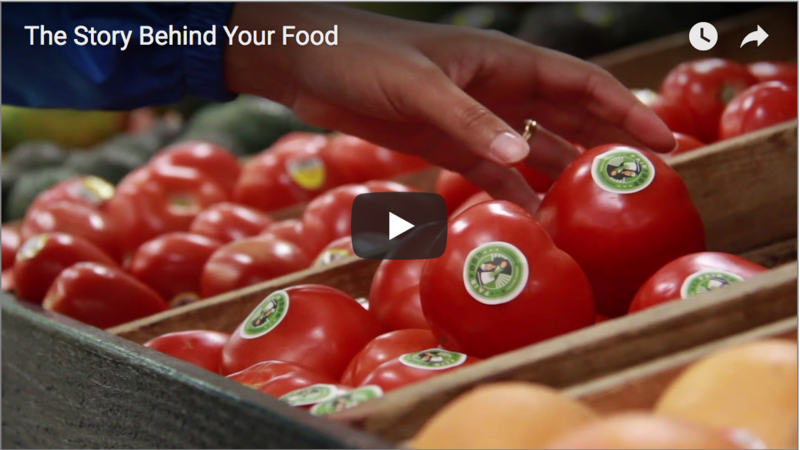 The Campaign, supported by consumers, harnesses the power of the market as a force for good and is based on very simple principles: Participating Buyers (retail food companies) are asked to pay a penny more a pound for their produce, and to buy their tomatoes only from growers who implement a human rights based Code of Conduct with zero tolerance provisions for forced labor, child labor, and violence, including sexual assault and display of weapons. To date 14 major buyers, ranging from McDonalds and Subway to Whole Foods and Walmart have signed FFP agreements. 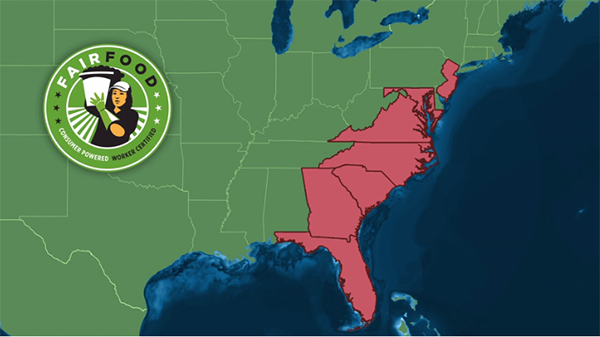 At the end of 2010, growers representing over 90 percent of the Florida tomato industry joined the program through agreements in which they commit to pass along the “penny per pound” to workers and to implement the program’s Code of Conduct on their farms. This market-driven model has – in four short years of implementation – brought an end to impunity for sexual harassment and sexual violence. There have been no cases of sexual violence or sexual harassment with physical contact reported at Fair Food Program farms over the last two years. Cases of discrimination, whether based on national origin, gender or sexual preference have also been dealt with promptly and effectively through the program’s complaint mechanism, without retaliation against complainants. The Code of Conduct that growers agree to implement is not generic, but rather informed by workers themselves. As a result, the Code’s requirements often exceed the law. For example, in addition to immediate termination for supervisors who are found to have engaged in sexual harassment with physical contact, there is a bar from employment at other FFP farms for those offenders. A similar bar is in effect for supervisors terminated for discrimination and other Code violations. Not only does the industry now have powerful market incentives to self-police, but the firings of supervisors, as well as the education done for both supervisors and workers at the time of those terminations have sent a powerful preventive message to others. In addition to changing their own behavior, for the first time, supervisors are held accountable for stopping and proactively preventing sexual harassment and discrimination in the environments they supervise. And long before it was legally required, Fair Food Program farms were required to provide light duty accommodation for pregnant workers. Effective education that is as deep and widespread as possible. Workers at PGs receive FFP education at the point of hire, with materials created by farmworkers themselves. CIW’s worker staff also carries out in-person worker to worker education at all FFP farms. Over 125,000 workers have received FFP education on their rights, including the rights to work free of discrimination and sexual harassment. Supervisors are also educated on their responsibilities for fulfilling the Code and the disciplinary consequences for failure to do so. Monitoring that provides a continuous flow of credible information. Worker education has created thousands of worker-monitors who actively enforce their own rights in the workplace as well as through their interactions with the F air Food Standards Council. The Council is a unique monitoring and enforcement organization solely dedicated to this program. Our audits include interviews with more than 50 percent of workers at any given farm, providing a snapshot of conditions, while our 24/7 complaint line, answered live by the same auditors who know and understand the situations workers are calling about, provides an ongoing video feed. We have resolved over 1100 complaints, normally within days and almost always within a few weeks. An enforcement mechanism that is prompt and powerful. Behind the Code stand the prompt and effective market consequences of the program’s Participating Buyers. If Participating Growers do not come into compliance with the Code through agreed upon corrective actions, they simply cannot sell to Participating Buyers. This structure has resulted in a win-win-win situation. For growers, benefits include becoming an employer of choice, reducing turnover, preventing risks, improving management systems, and obtaining verification of ethical labor practices, thereby giving them a competitive edge with buyers. For buyers, the benefits include transparency and elimination of supply chain risks at a time when consumers – with access to instant information – are increasingly demanding to know the conditions under which their products are produced. For workers, the changes are comprehensive and dramatic. 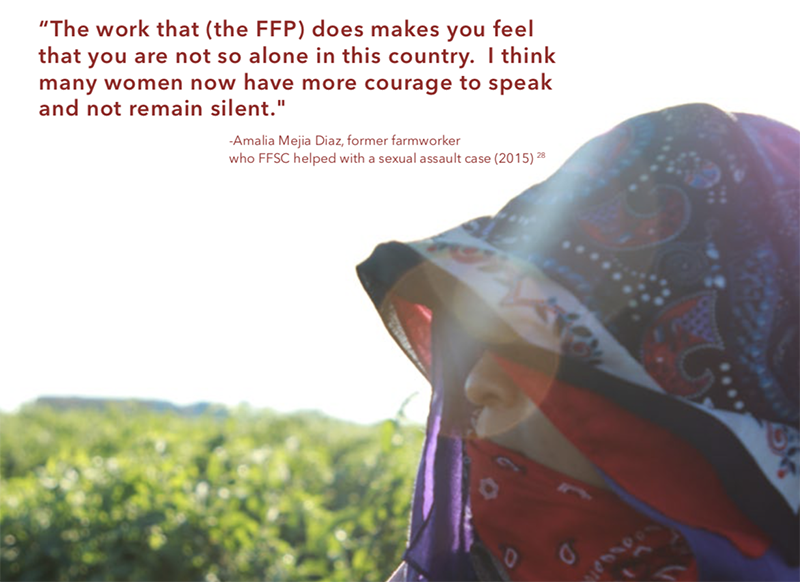 In just four years, forced labor, violence and sexual assault have been eliminated from FFP farms. A prompt and effective complaint mechanism that protects workers against retaliation has been implemented. $20 million in “penny per pound” premiums have been distributed to workers, and systemic changes have helped to eliminate wage theft. Improvements in health and safety including provision of shade in the fields and worker participation in Health and Safety Committees – where all issues, including discrimination and harassment, can be productively discussed with management – have been made. 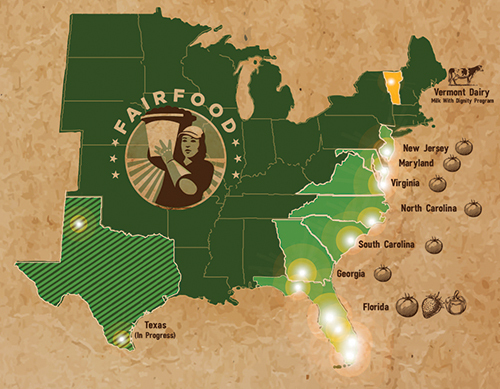 The FFP has expanded to 6 new states and, as of this season, 2 new crops. Beyond this, workers in other sectors as diverse as dairy workers in Vermont, construction workers in Texas, and those seeking to implement the Bangladesh Fire and Safety Accords are looking to the FFP as a model, and our staff is helping to train and advise them. Worker organizations and governments in several other countries have reached out for advice and training. At the very same time our hotline continues to receive calls from workers who are suffering the worst kinds of abuses outside the program. In many of those cases, as you may know, CIW continues to work with EEOC in pursuing justice for those workers, until it is possible to one day prevent such abuses altogether. Judge Safer Espinoza’s testimony was a highlight of the hearing, and was later featured on the EEOC website. The unique value of the Fair Food Program was undeniable to the Task Force members and the members of the public gathered there alike. After many years of working with the CIW on egregious sexual harassment complaints in Florida, helping victims of harassment after they were forced to suffer often unspeakable humiliations at the hands of their supervisors, the EEOC today can point to the Fair Food Program as a model for preventing those crimes, placing the FFP at the top of the agenda in the search for best practices for eliminating harassment and discrimination in the workplace and building a better world, a world without victims. Question: What are the three most important elements of a successful social responsibility program?